Charlie Montoyo was a 27-year-old infielder still trying to carve out a major league career the last time he stepped on the field at Montreal's Olympic Stadium. Montoyo returned to Montreal Monday as his team opened a two-game exhibition series against the Milwaukee Brewers. 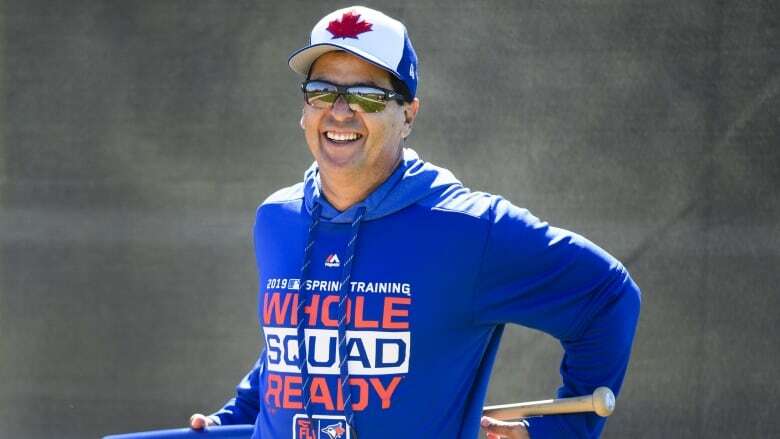 Charlie Montoyo was a 27-year-old infielder still trying to carve out a major league career the last time he stepped on the field at Montreal's Olympic Stadium. "I'm never going to forget having my first hit of two here," Montoyo said. "That's a memory that I'm always going to have. Hopefully they [show] the highlights before the game. They'd have to stop the game for five seconds."